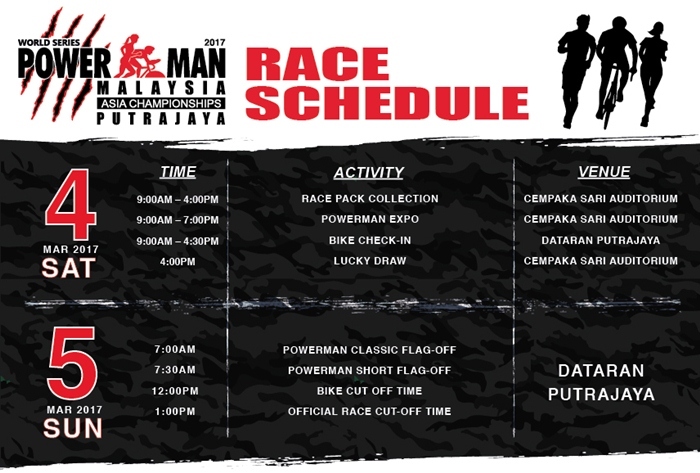 The world’s largest duathlon race in the Powerman series, Powerman Asia Duathlon Championships, will return to Putrajaya on Sunday, 5 March 2017 with greater expectation on foreign participation. Over 3,000 local and foreign participants including top global athletes, multi-sport elites and enthusiasts are expected to take part in the run-bike-run race. Category & Registration Fees: 4 adult categories namely the Individual Classic and Team Relay Classic (10km – 60km – 10km), and the Individual Short and Team Relay Short (5km – 30km – 5km) are available for registration. 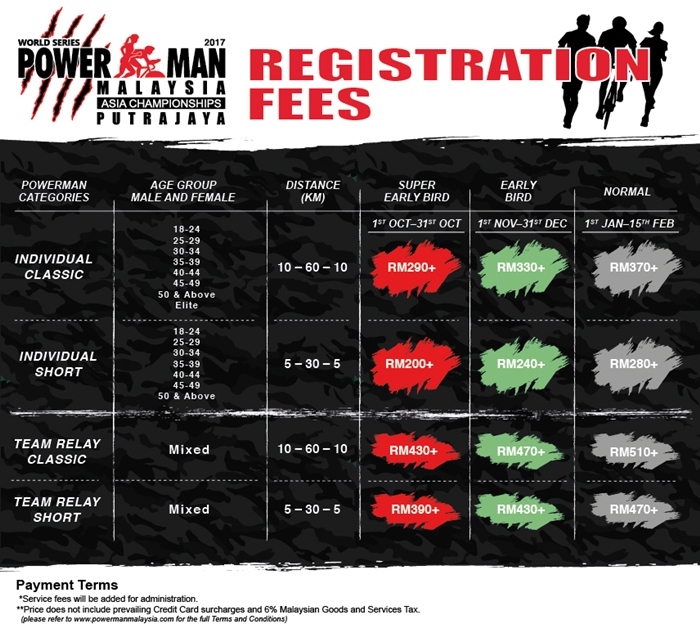 Powerman, the pinnacle for duathlon competition globally, is the platform for ardent runners and cyclists to progress and master both sports. The championships held in Putrajaya last March upon a two-year hiatus witnessed the tremendous growth of duathletes in the region, with a record-breaking number of 2,645 participants starting the race, breaking the Malaysia Book of Records for the ‘Largest Participation of Duathlon Championships’ in Malaysia. 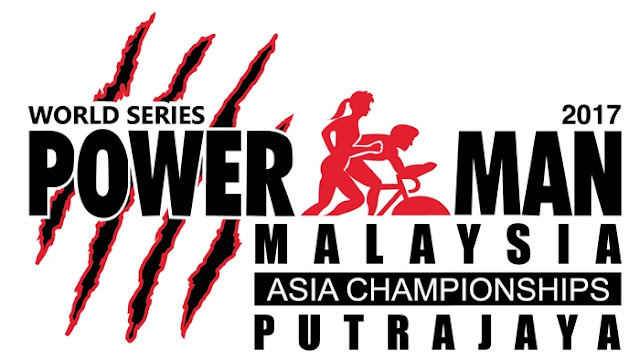 Powerkids, the newly introduced duathlon programme for children aged between 5 and 12, is part of the Asia Championship’s expansion to nurture talented and budding multi-sport athletes. To be launched in December 2016, the grassroots activity is about the joy of movement and the first experience for children to engage in a multi-sport event. This will be the championship’s pilot initiative to introduce a programme for children. Powerkids is composed of three age categories: 5 to 7-year-old (0.4km – 1km – 0.4km), 8 to 10-year-old (0.8km – 2km – 0.8km), and 11 to 12-year-old (1.2km – 3km – 1.2km). Powerman Drives Sports Tourism in Malaysia, dubbed as one of the premier endurance multi-sports race in the region, Powerman remained as one of the preferred races in the sports calendar. The Powerman Asia Duathlon Championship 2016 last March recorded more than 30 percent of foreign participation from more than 39 nationalities, with the greatest number from Singapore.